This book describes the application of the Lean concept in the realization of the three projects. Lean Tools are presented and given real examples of their use in reducing 8 significant wastes in processes identified by designated teams to improve the process. 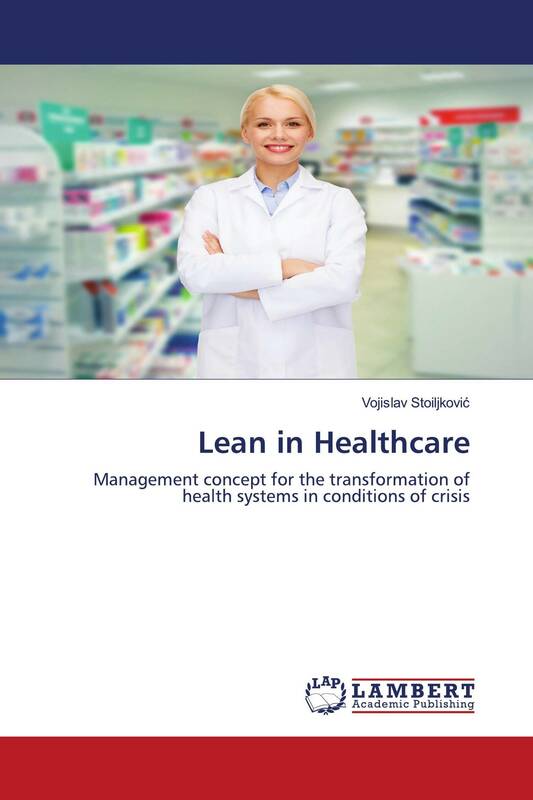 The introduction of this book points to the beginning of the implementation of Lean projects in Clinical Center Niš. The second chapter speaks of "Health on the Burning Platform." In this chapter indicates that health is in a challenging situation and that it is a necessary change to "survive." In the third chapter, the presentation "History Develops Management Concepts" is given in a period longer than 100 years. The fourth chapter describes the five basic principles of the Lean concept: value, value flow, flow, pull and perfection. The fifth chapter describes eight significant wastes: defects, overproduction, waiting, insufficient use of people, transport, inventory, movement and over processing. The sixth chapter describes 20 Lean tools that most commonly used for process improvement. Chapter Seven shows the completed Lean projects 01-2012 and 02-2012.